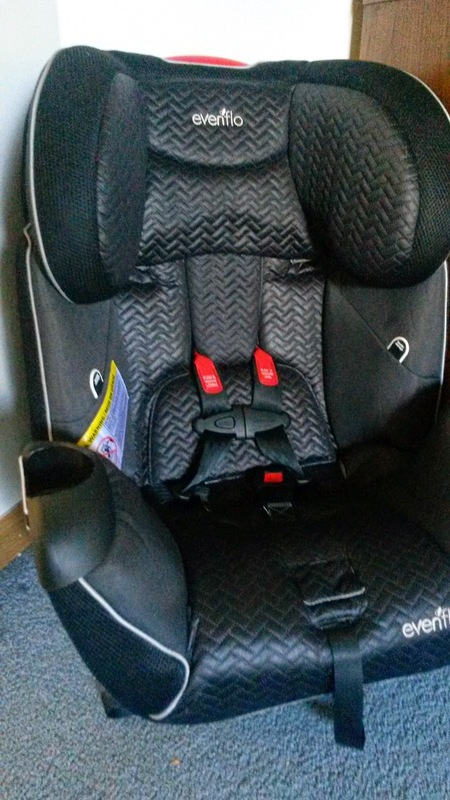 This carseat is SO nice! We're using it with Annabelle, who is tall for being 3 years old. I love that the harness adjusts to her shoulders, all we do is lift the harness up, put the harness on and then pull it tight- no rethreading or worrying about her growing. This is one of my favorite features that Evenflo has! We've been big fans of Evenflo seats for quite some time, and this new seat doesn't dissapoint! We have a 2003 Yukon XL, which doesn't have LATCH, but my 2004 Hyundai does. I love that this seat can easily be switched and installation takes just seconds with LATCH (and not much longer using seat belt installation). Evenflo developed a system consisting of Quick Connector™ LATCH and Guides that increases proper installation by 2X compared to installation with standard LATCH hooks! LATCH guides act like a tunnel, making it a cinch to find your vehicles lower anchors. The Quick Connector™ LATCH easily attaches and detaches the seat from the vehicle with one hand for easy transition between vehicles. The new Evenflo SureSafe System increases proper installation by 2x, compared to standard latch. 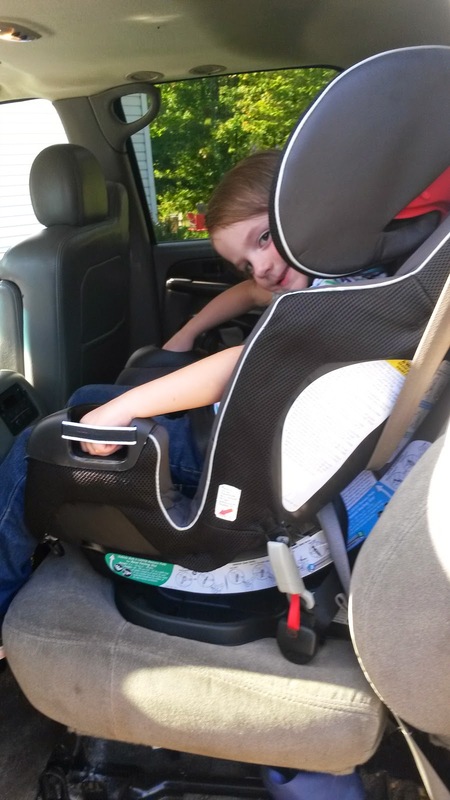 Since up to 70% of car seats are installed incorrectly, this is a huge benefit- especially if you need to switch the seat often, as many parents do! 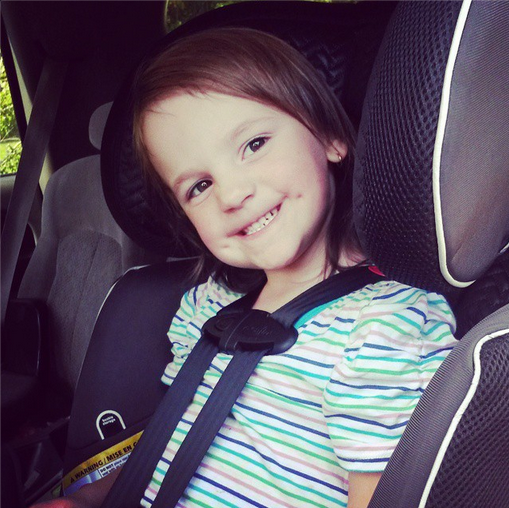 Our daughter really likes the seat and has not complained at all about sitting in the seat, it looks very comfortable and we haven't heard anything otherwise! The buckle storage are another great features. 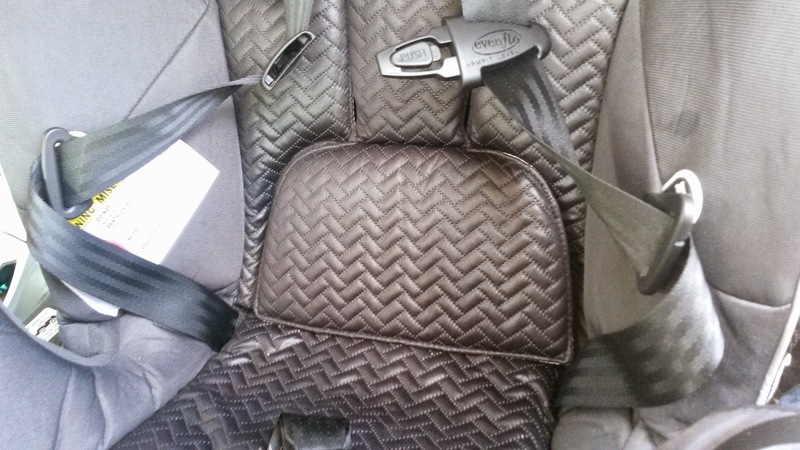 You may have noticed how hot those buckles get when in a hot car, and how it can be frustrating to have a child sit on the buckes. Well, just pop the buckles on the buckle storage and you don't have to worry about skin being burned, or having to pry the harness out from underneath the child. You can find a coupon for $10 or $15 off on Evenflo's website, just look for the coupon widget which is hosted at the upper-right corner and bottom of the landing page. Overall, I highly recommend this seat, the safety of the e3 Side Impact™ Protection (three layers of engineered foam designed and tested to reduce side impact forces up to 50%), the ease of the SureSafe™ System and the convenience of the Buckle Pockets make this seat a great buy.